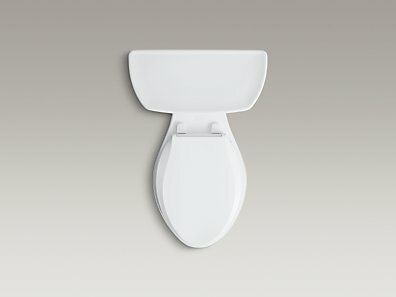 Дополнительная информация: Wellworth® Wellworth toilets have been an American benchmark for style, innovation, and performance since 1936. 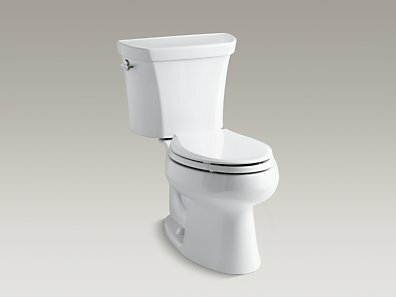 This Wellworth high-efficiency toilet delivers significant water savings with a 1.28-gallon flush setting that saves up to 16,500 gallons per year, compared to an old 3.5-gallon toilet, without sacrificing performance. Features Two-piece toilet. Elongated bowl offers added room and comfort. 1.28 gallons per flush (gpf). 2-1/8-inch glazed trapway. Standard left-hand trip lever included. Seat and supply line not included. Combination consists of the K-4467 tank and the K-4198 bowl. Coordinates with other products in the Wellworth collection. 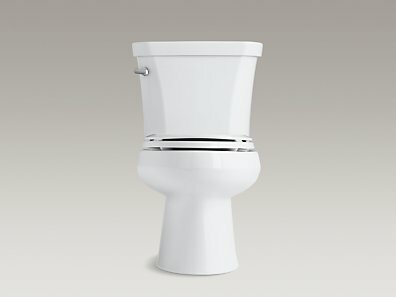 Technology Single-flush gravity uses the force of gravity and a precision-engineered tank, bowl, and trapway to create a strong siphon during flushing. Canister flush valve optimizes flush performance and resists warping and deterioration. Class Five® flushing technology offers plug- and leak-free performance, extraordinary flushing, and better rinsing power for a cleaner bowl. Installation Standard 12-inch rough-in. Three-bolt installation. Water Conservation & Rebates WaterSense® toilets meet strict EPA flushing guidelines, including using at least 20 percent less water than 1.6-gallon toilets. Eligible for consumer rebates in some municipalities.